Las Lunas Locas, a community of self-identified womyn based in Los Angeles, Califas who write, right and rite, will be in Austin, for a two night event September 11th & September 12th!. We meet every monday night in Highland Park at Ave 50 Studio, however as we will be on the road we will be holding our circle in Austin and invite the community in joining us to commemorate the significance of this particular day. 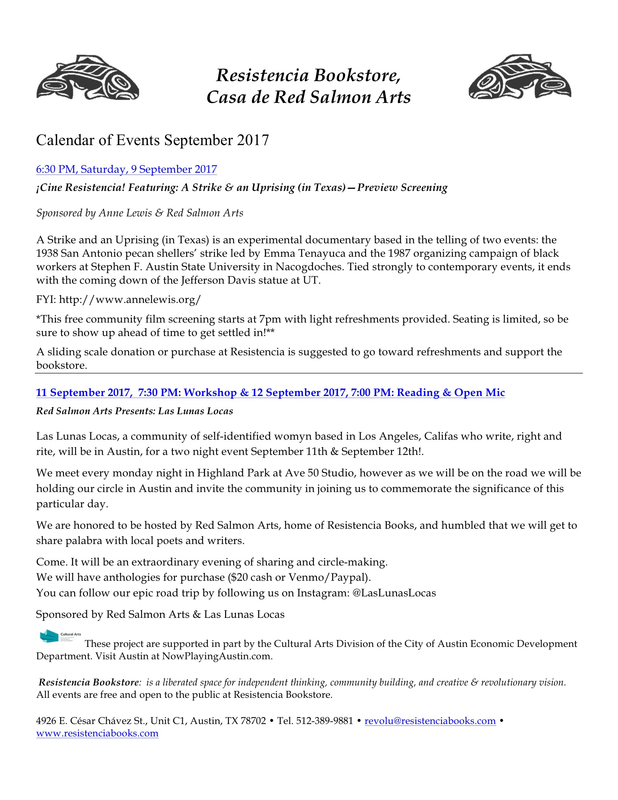 We are honored to be hosted by Red Salmon Arts, home of Resistencia Books, and humbled that we will get to share palabra with local poets and writers. Come. It will be an extraordinary evening of sharing and circle-making.